The entry-level price for an Apple MacBook Pro with Retina display has been unofficially slashed by $200 to just $1,499, as the company continues to work with its indirect sales channel to push units on the back of a lackluster quarter for Mac sales in general. MacConnection on Saturday let AppleInsider know that it's now selling for a limited time the 2.5GHz 13-inch MacBook Pro with Retina display (8GB/128GB model MD212LL/A) for $1,499 —a $200 price drop on the entry-level Retina product and the lowest entry-level pricing for a Retina display equipped MacBook Pro available since the notebook's inception. 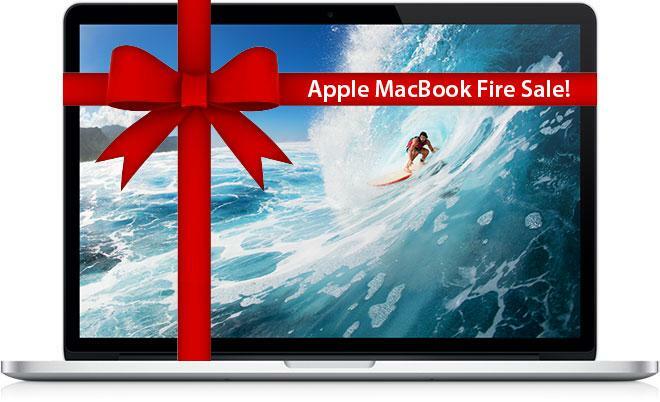 The move comes on the heels of several other price reductions and limited-time fire sales on Apple's notebook offerings that have been viewed as abnormal, especially in light of their close proximity to the recently-ended and heavily-discounted holiday shopping season. It's a trend that began in earnest just days before Apple released results for its fourth calendar quarter of the year that spooked industry-watchers and analysts when they revealed a 17% year-over-year decline in Mac unit sales. Shares of the Cupertino-based company bled more than 10% of their value in the hours following the disclosure. The Mac maker, which has largely outperformed the overall PC industry several times over during the last several years, is particularly sensitive of steep price cuts that it believes could devalue the company's brand image in the eyes' of consumers. Therefore, there's suspicion that Apple was working in concert with Best Buy when it slashed MacBook Air prices and subsequently MacBook Pro prices by double digit percentages just weeks after Christmas. In the hours, days and weeks that followed, several other members of Apple's reseller channel engaged in a game of follow-the-leader, yielding the lowest first-quarter pricing (Price Guide) for Mac notebooks yet.